I was ready to check out w/ my blue and gold orders when I was about to pay, it prompted that the blue model is already sold out. WTF! 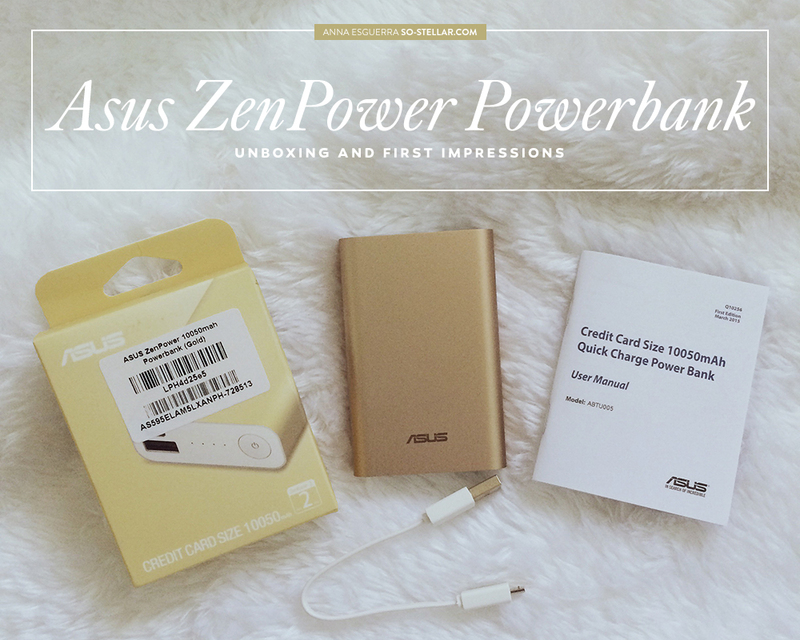 After a couple of instances I added/removed the items and being indecisive whether I should really get one or just patiently wait for another Xiaomi flash sale… I ended up checking out, selecting Cash on Delivery for ONE Asus ZenPower Gold powerbank. See, the plan was to get TWO of these. But I suppose from previous flash sale events of Lazada, they might have put a limit of one order per color per customer to avoid people who hoard. Good (and I hate those hoaders who sell these hard to find items for twice its price online! ), but maybe increase to at least two per person next time, yeah? 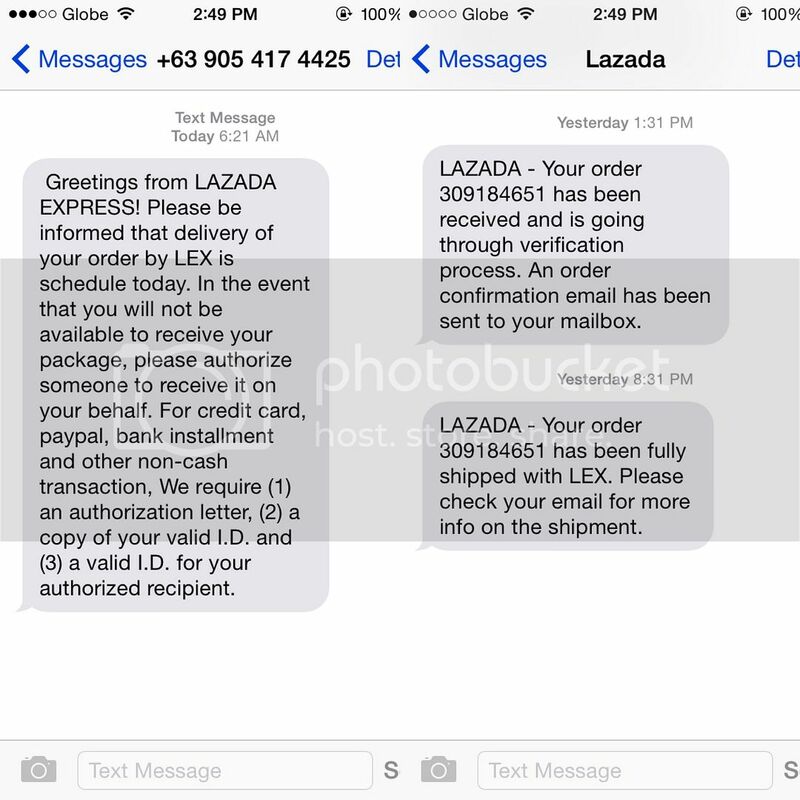 All of this happened within 24 hours right after clicking submit on my order. 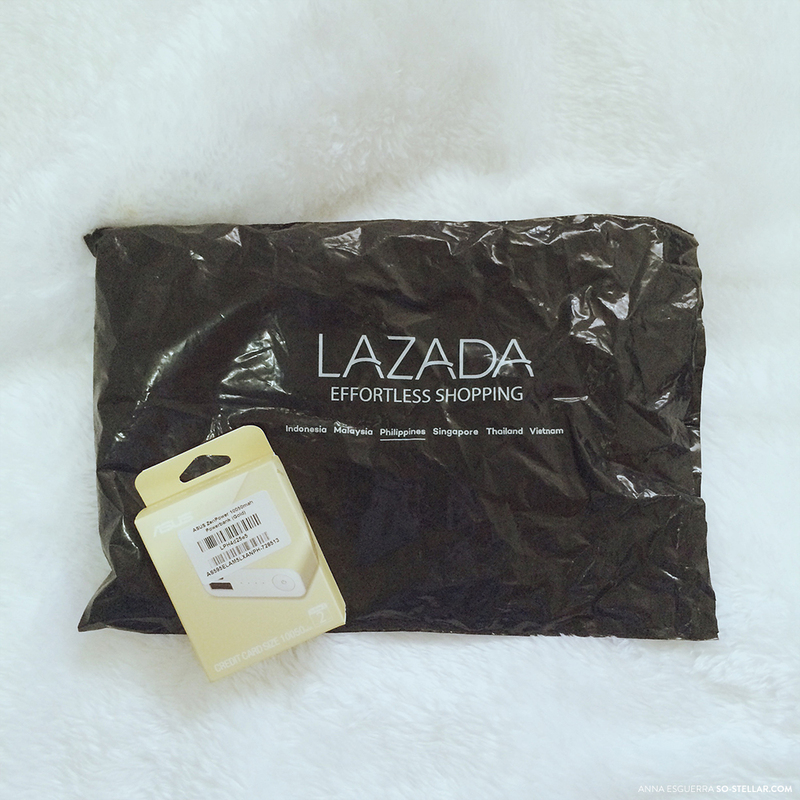 I love how speedy everything w/ Lazada is. 😀 Before this turns out to be a very biased and a suckup feedback of praise towards them.. 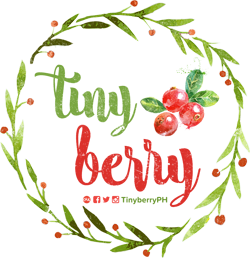 I am aware that not all get to experience how wonderful they are when it comes to their services (shopping to shipping experience, and definitely the after sales service). Luckily I have always received the good end of the stick from them. Maybe it’s because I’ve only bought on sporadical instances from them that’s why it’s always worked well with me? And I always choose to pay Cash on Delivery method. So far I’ve only purchased a handful of electronics from them. I noticed with the complaints, it’s mostly for clothes and home appliances and beauty products. 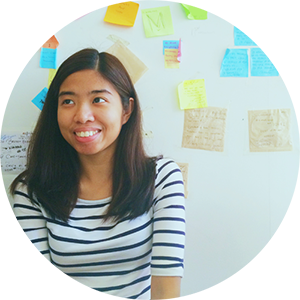 I have yet to receive an awful treatment and service from shopping in their site and I’m hopeful that they extend this kind of service to more users not just to a randomly selected few. Moving on.. there wasn’t much to the contents inside since I was restricted to only getting one of this. 😞 Lol. 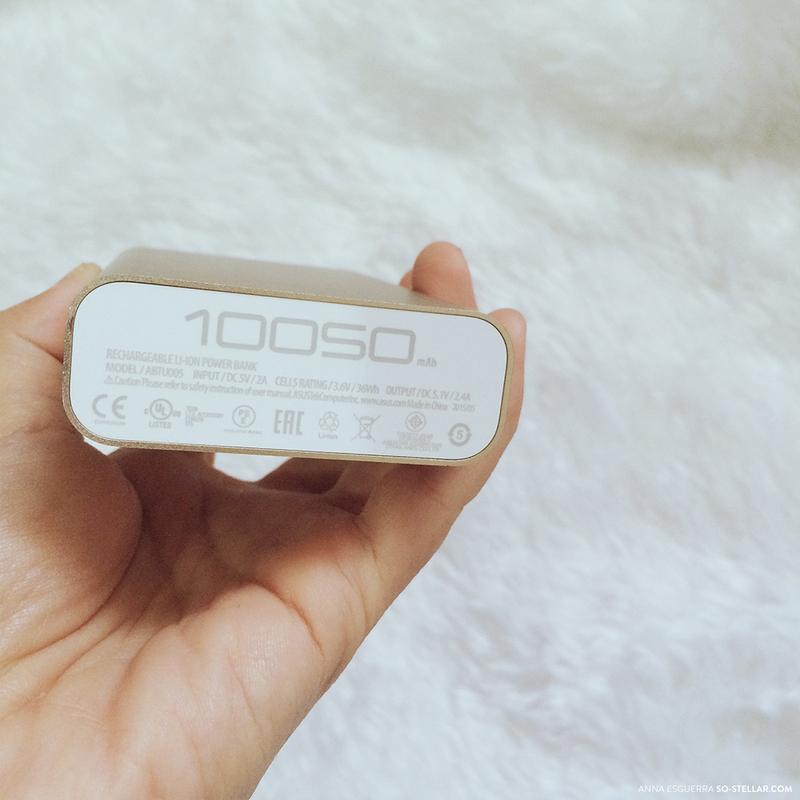 While I was still hesitant on purchasing this, I looked up reviews and other people’s impressions of this powerbank. Here are the contents upon unboxing. One thing I noticed is the instruction manual that was included is so thick for a product with one function and takes only two (at most) steps to get it working. I didn’t even bother flipping through the booklet hehe. On the other hand, I wish powerbanks included power adapters too. 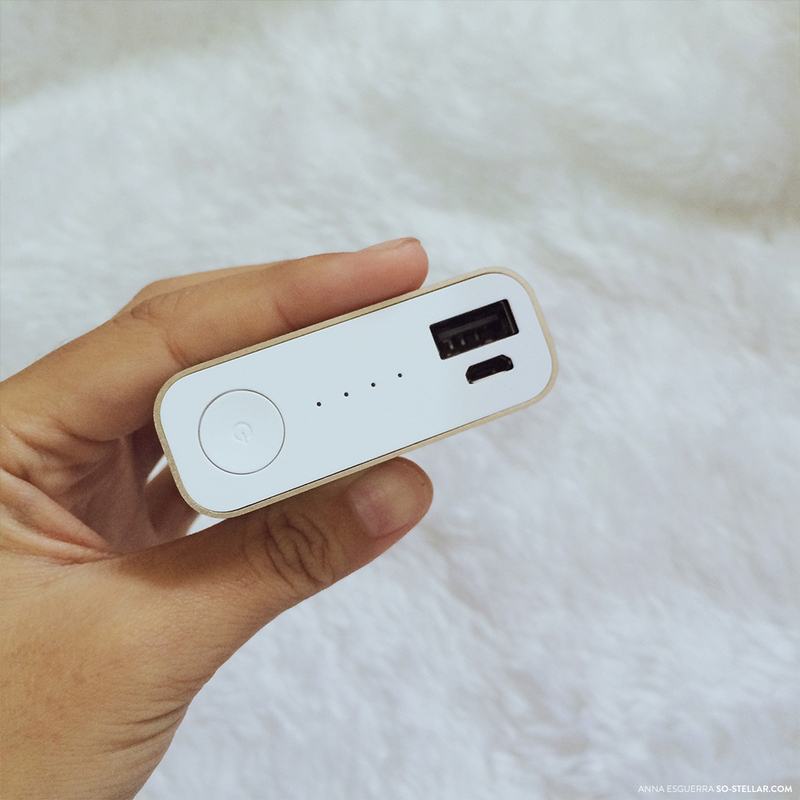 Everyone mentions that it is as small as a credit card, and that it’s lightweight and easy to carry but no one mentioned how long it takes to recharge this, for one. 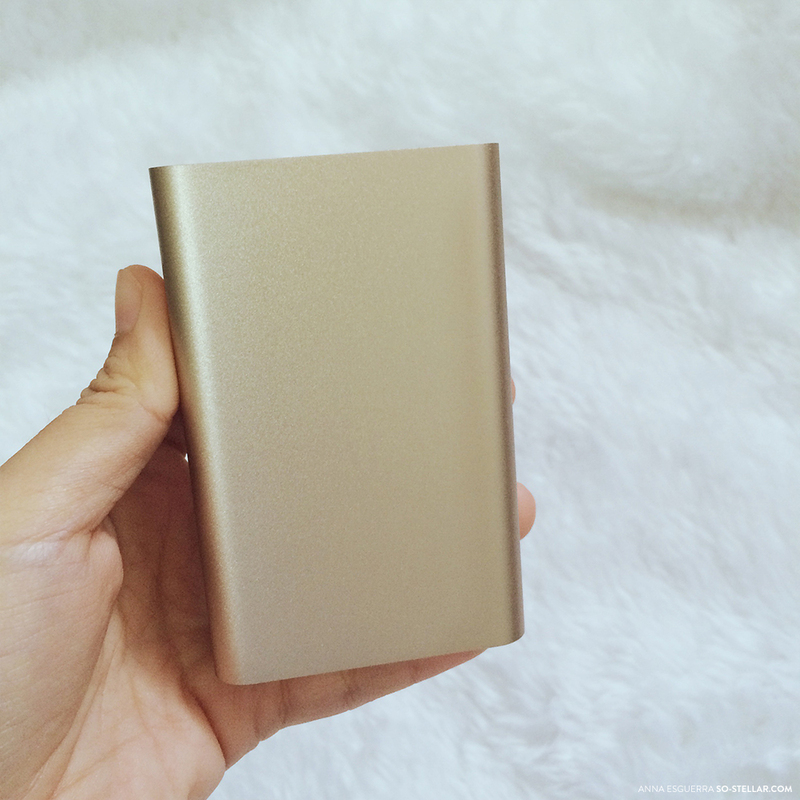 I’d like to know because it’s a bigger capacity powerbank. The color is a subtle shade of gold which is nice. Sorta like Champagne Gold, to compare it to Apple colors. I was expecting it’s going to be flashy, eye-catching shade of gold(?) that’s going to attract anyone who sees it (like when you point light to it and it will look shiny). 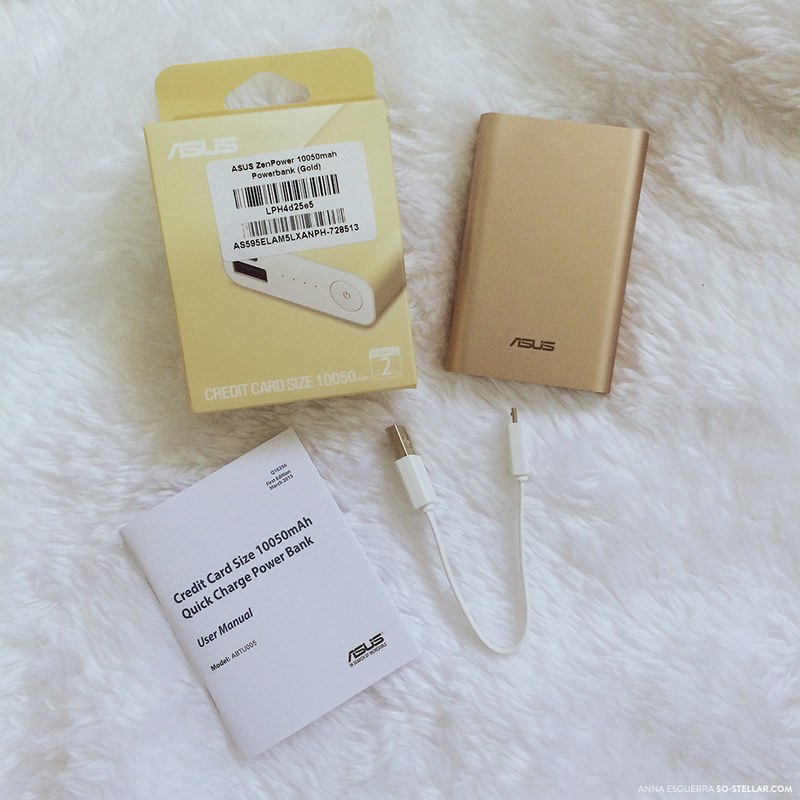 It blends well next to the silver powerbank, they don’t clash with each other. From afar, it kinda looks silver too. 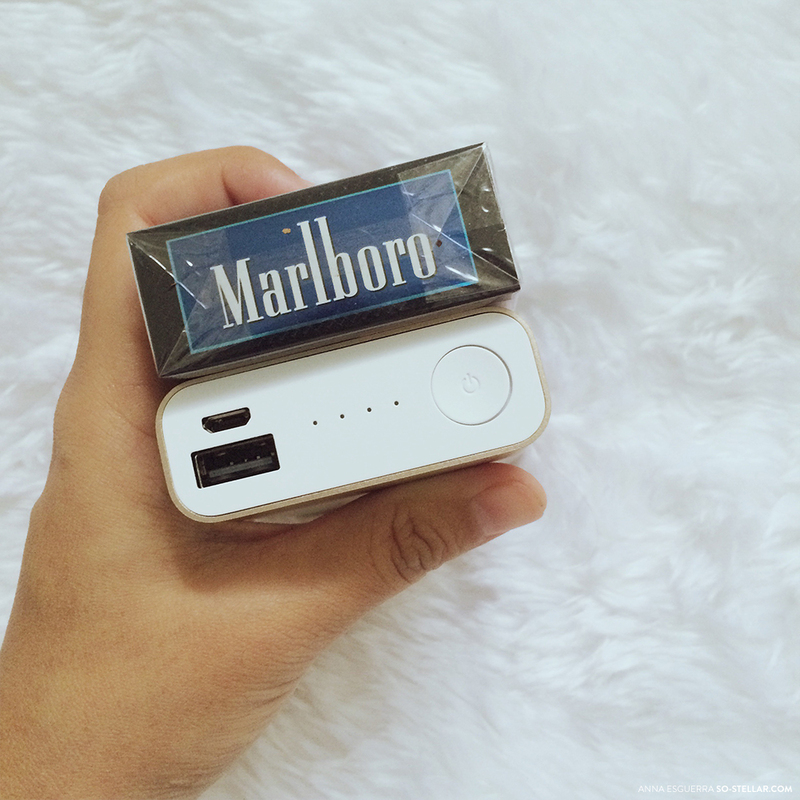 Comparing it to a regular sized cigarette pack would be more realistic. This is my first impression of it tbh. I opened the box and held it, looked at it and immediately I was reminded of a pack of cigarettes… and that I need to take a smoke break (just kidding). It had around 50% of battery power left when I turned it on so I tried my phone with it. With what’s remaining, it was able to charge the phone back to 100% from 50% in 30 minutes or so (I dunno, I didn’t keep time of it strictly for the first use). 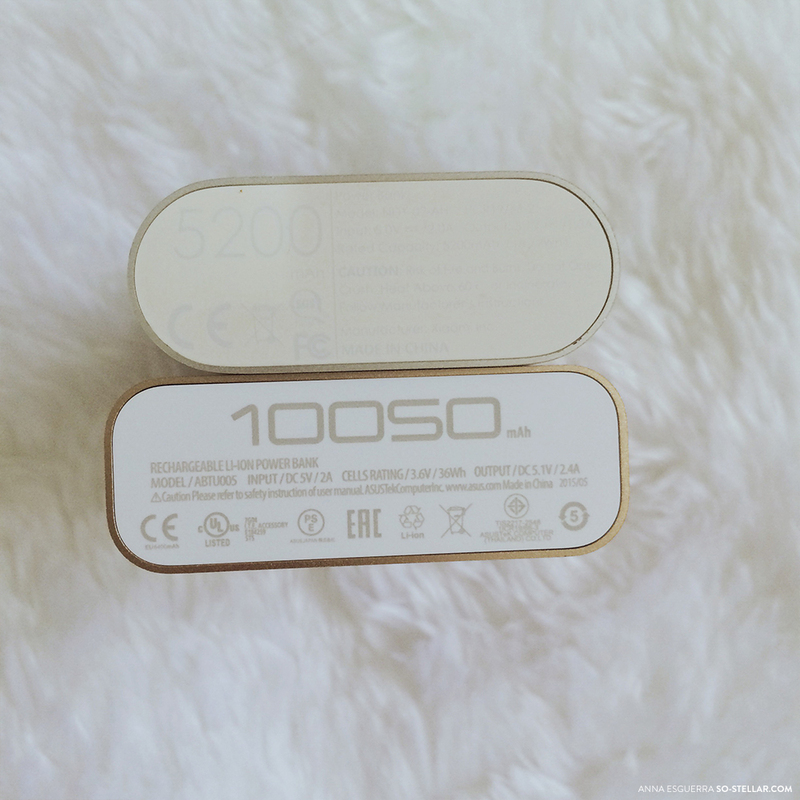 It is a bit heavier than the Xiaomi powerbank but given its larger capacity of 10050 mAh, this is considered light already. 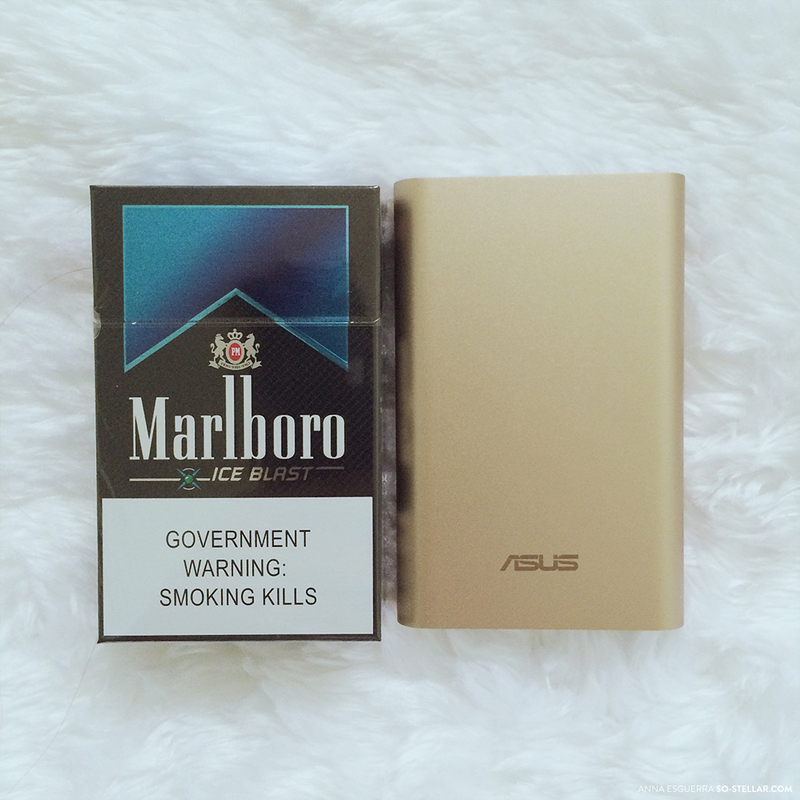 So, Asus was able to downsize the Xiaomi 10400 mAh, although losing a bit of power capacity, to a cigarette pack-sized lightweight powerbank. It’s been two days since purchasing this and I like it so far. 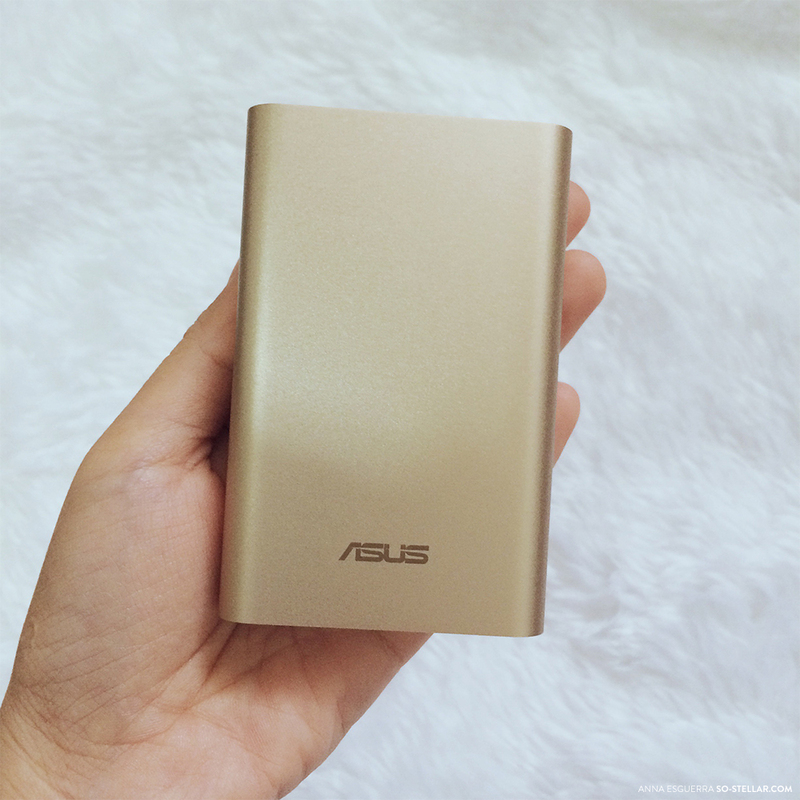 It’s handy to hold, love the form factor, nice color, and it feels premium for the price. I can charge fully charge my phone 6x. I’ve yet to find out how long it will take it charge the powerbank back to 100% capacity and for the powerbank to entirely lose battery before I can charge it. ..If it’s a new and original/authentic adapter I need or a more quality USB cable. Those things factor into the time consumed when you’re charging phones and other devices and I just found out recently about it. That’s for another post, maybe. Nagongolekta ka ng power bank, Anna? Hehehe. I only have one, and I only get to use it when I’m out on an adventure (and it suffices). 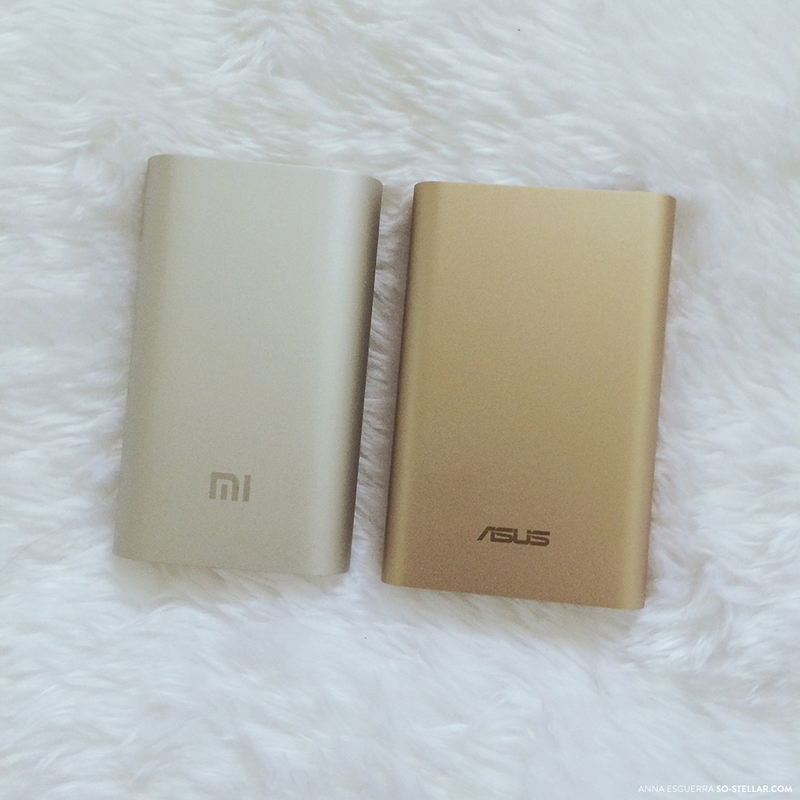 The Xiaomi and Asus power banks look sexier though compared to the one I have! Not really, but yeah it kinda looks that way no? 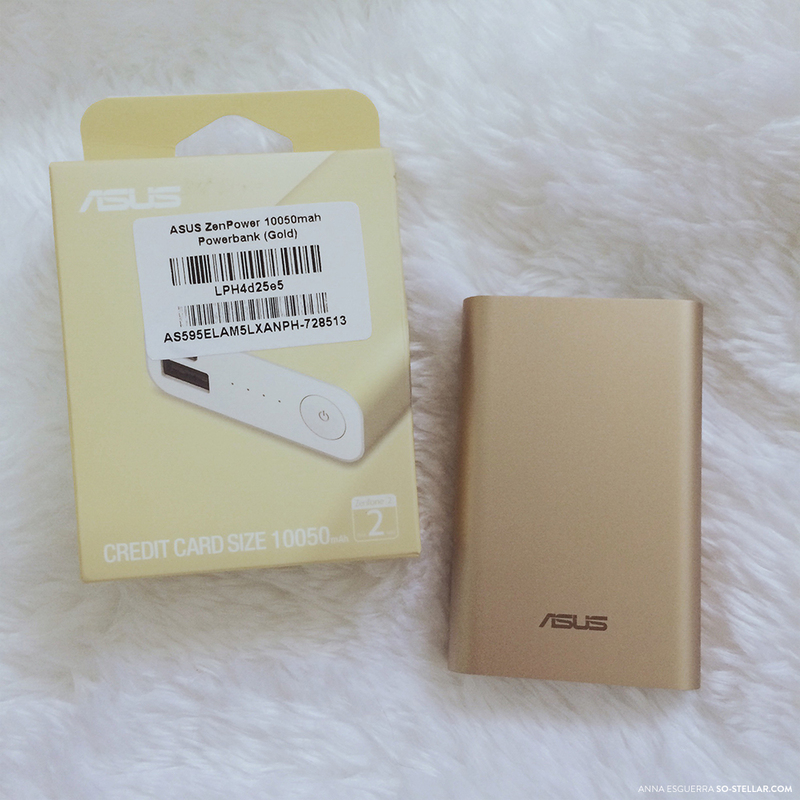 My brother keeps borrowing (hanggang sa di na ibalik) my powerbanks kasi! 😛 I gave him my first one (yung Romoss) and this one is hopefully my last purchase. Hahaha. 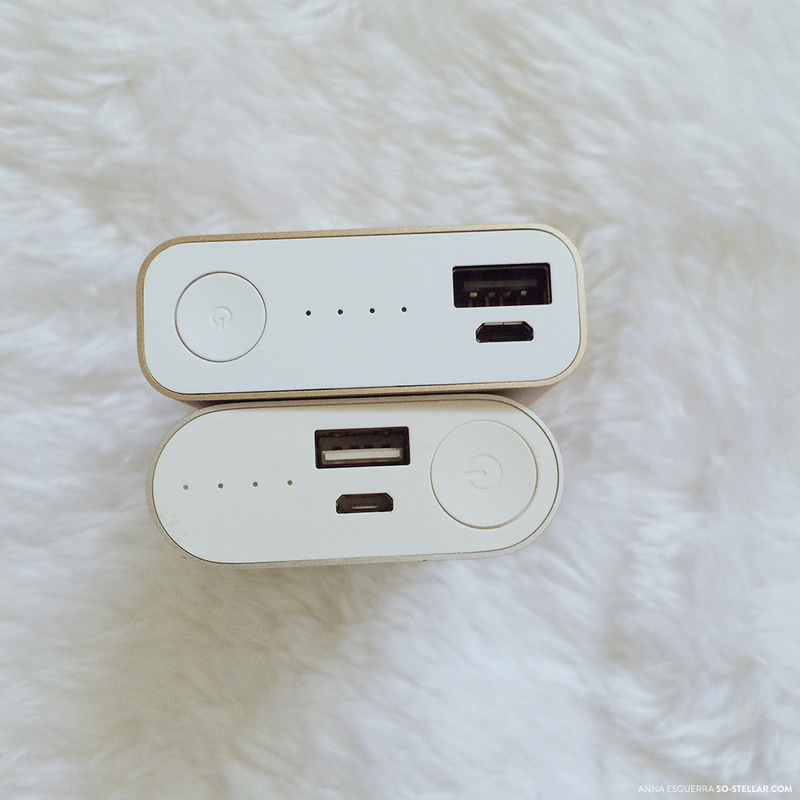 Saka these powerbanks look pretty and di naman kamahalan kaya I don’t mind buying them.